Trump lied to me about his wealth to get onto the Forbes 400. But it took decades to unwind the elaborate farce Trump had built to project an image as one of the richest people in America. Nearly every assertion supporting that claim was untrue. Trump wasn’t just poorer than he said he was. Over time I have learned that he should not have been on the first three Forbes 400 lists at all. 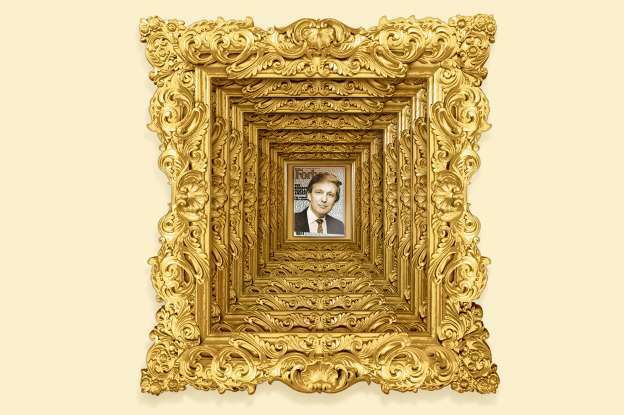 In our first-ever list, in 1982, we included him at $100 million, but Trump was actually worth roughly $5 million — a paltry sum by the standards of his super-monied peers — as a spate of government reports and books showed only much later. This was a model Trump would use for the rest of his career, telling a lie so cosmic that people believed that some kernel of it had to be real. The tactic landed him a place on the Forbes list he hadn’t earned — and led to future accolades, press coverage and deals. It eventually paved a path toward the presidency. It would be decades before I learned that Forbes had been conned: In the early 1980s, Trump had zero equity in his father’s company. According to Fred’s will (portions of which appeared in a lawsuit), the father retained legal ownership of his residential empire until his death in 1999, at which point he left it to be divided between his four surviving children and some of his grandchildren. That explains why, after Trump went bankrupt in the early 1990s, he borrowed $30 million from his siblings, secured by an estimated $35 million share of his future inheritance, according to three sources in Tim O’Brien’s 2005 biography, “TrumpNation.” He could have used his own assets as collateral if he’d had any worth that amount, but he didn’t. During our first interview in 1982, Trump informed me that he had bought the Barbizon Plaza Hotel and the adjoining 110 Central Park West for just $13 million, a steal. While I was in Trump’s office, a broker supposedly called to offer him $100 million for the property. Trump refused the offer while looking me in the eye; he pointed out that his net worth should include an equity boost of $87 million profit. I believed then that he used a staffer to stage the call, and I resisted the fictitious valuation. But the $13 million price tag for a valuable parcel was recorded in Forbes 400 files, and it soon showed up in other publications, such as New York magazine. It remains on Wikipedia today. Yet tucked away on Page 63 of the Casino Commission report was a section describing Trump’s purchase of the property for $65 million, facilitated by a $50 million loan to Trump by Chase Manhattan Bank. As with many of his buildings, Trump’s debt was far higher, and his true equity far lower, than he claimed. But according to the New Jersey Casino Commission, which issued another report in 1991, by the end of 1990 Trump’s entire cash position — in both his business and personal accounts — was just $19 million. The amount was insufficient to pay the debt on his over-leveraged casino and real estate holdings while still covering his personal expenses of $1 million per month. His net worth, the commission estimated, was $205 million — less than 6 percent of what he’d told Forbes. In 1990, the magazine dropped Trump from the list and kept him off it for five years. But Trump was so competent in conning me that, until 35 years later, I did not know I had been conned. Instead, I have gone through my career in national media with a misinformed sense of satisfaction that, as a perceptive young journalist, I called Trump on his lies and gave Forbes readers who used the Rich List as a barometer of private wealth a more accurate picture of his finances than the one he was selling.